Boy was this ever a crazy weekend! We had church choir performances, my brother-in-law’s wedding, and we hosted the family Easter party, all this weekend! And there was a ton of cooking involved, most of which, I am sad to say, I didn’t even get a chance to take a picture of before it was all gobbled up. BUT! I did snag a picture of the cute cupcakes I made. 😀 The cupcake is just DH Banana Cake mix because I was pressed for time, but the icing is a recipe I found on Tasty Kitchen that really is the best! It was just like whip cream in texture but never melted and held its shape well enough to decorate with too, perfect for those of us who hate the really thick sugary icing some cupcakes have. I will be using this icing from now on! Just note some of the comments say it doesn’t refridgerate well, so leave it at room temperature and you’ll be fine. 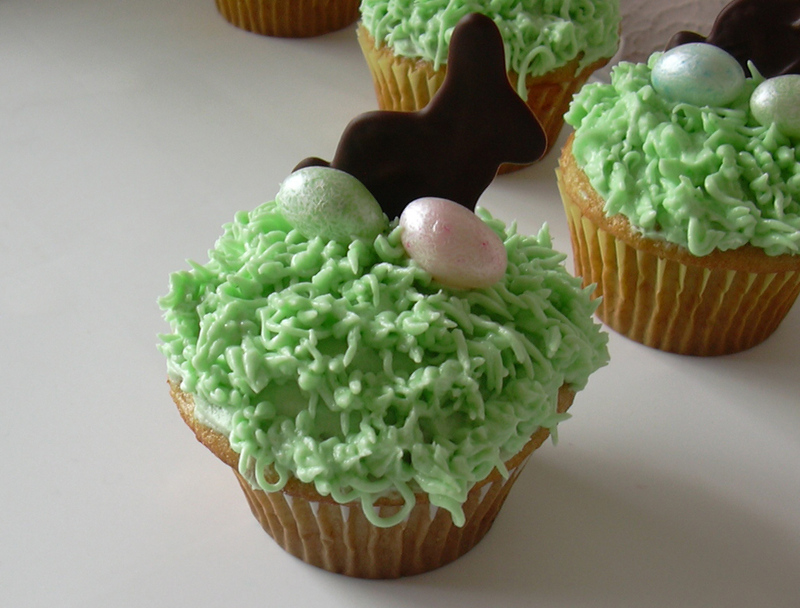 I used the wilton hair tip to make the grass and just topped them with some pearl jelly beans and a chocolate bunny. The chocolate bunnies were easy to make ahead of time. I just found a cute little picture of a bunny online and slipped it under some wax paper for tracing. Then I just melted a bar of chocolate in a ziploc baggie, snipped the tip, and started drawing. Let it set in the freezer for about 20 minutes and they were done! And you can store any extras in a baggie in the fridge and pull them out whenever! Personally, I think it’s much more user friendly than chocolate molds. Mashed Potatoes – yes, it has blue cheese but you cannot tell. Everyone was asking what the secret ingredient was to make it taste so good and no one believed me when I told them it was the cheese. I should have made a double batch because they were gone that fast! Green Beans – TX roadhouse green beans are the best, and this is the closest I have found to their recipe. It has bacon, what more do you need? Garlic Cheese Bread – monkey bread turned into garlic bread, nuff said. Ok you guys, I think I have found the holy grail of sugar cookies. For months I have been desperately looking for a good sugar cookie dough that was easy to manage and tastes great, and I can officially say I’m done now. 🙂 I found the recipe on Bake at 350 and it makes about 2-3 dozen cookies. I was worried initially since the dough looked really crumbly, but after kneading it with my hands for a little while it came together. This texture works to my advantage because no additional flour was needed for rolling out and cutting. Less mess is a HUGE plus in my book. And bonus, there was no chilling necessary either! 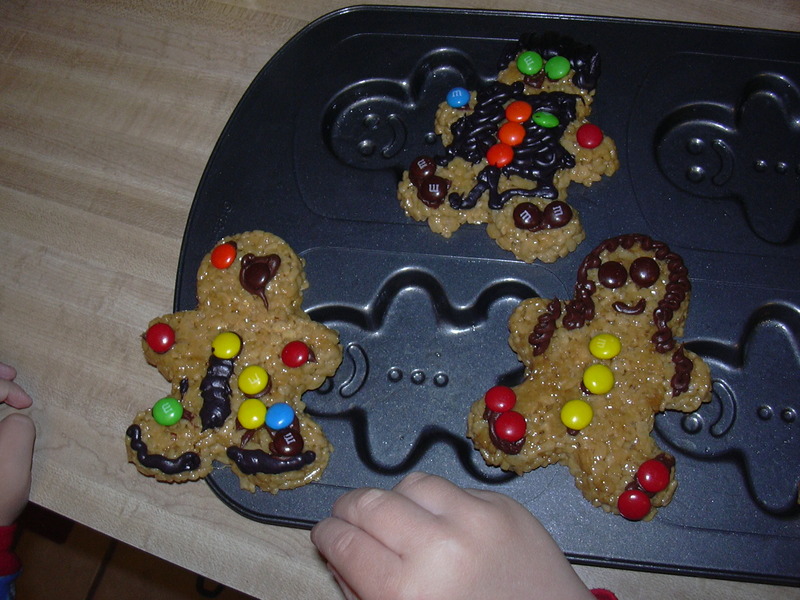 Already I was smitten with this recipe, but then I took them out of the oven and was delighted to see that there was no spreading issues either, the cookies retained all their detail and shape! And of course, the taste test revealed a tender cookie with a hint of almond, not too dry and not too moist. 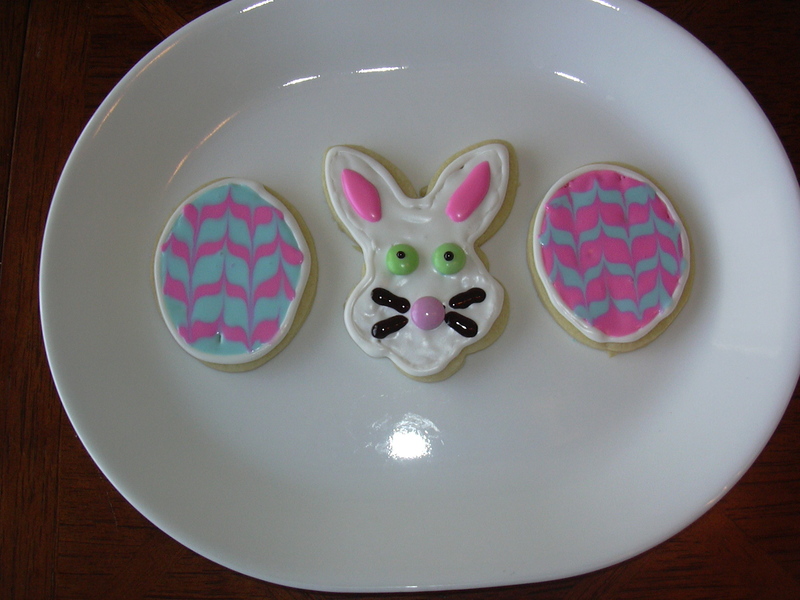 This my friends is the best sugar cookie cut out recipe ever! 1. Preheat oven to 350. Combine flour and baking soda in small bowl and set aside. 2. Cream the butter and sugar. (tip: if using cold butter, cut into small cubes to mix easier) Add the egg and extracts and mix. Slowly add in the flour mixture and beat until combined. You might need to just dig in with your hands near the end. 3. Roll out between 2 sheets of parchment paper and cut with cookie cutters. Place on cookie sheet and bake for about 10-12 minutes. Let cool and decorate. I had some spare time to play with my food this morning 🙂 and look who came to visit? The easter bunny! The flower on the chicken salad is the imagination of my little boy, who promptly named it Red Fred. I love the thoughts of a three year old, they say the cutest things! 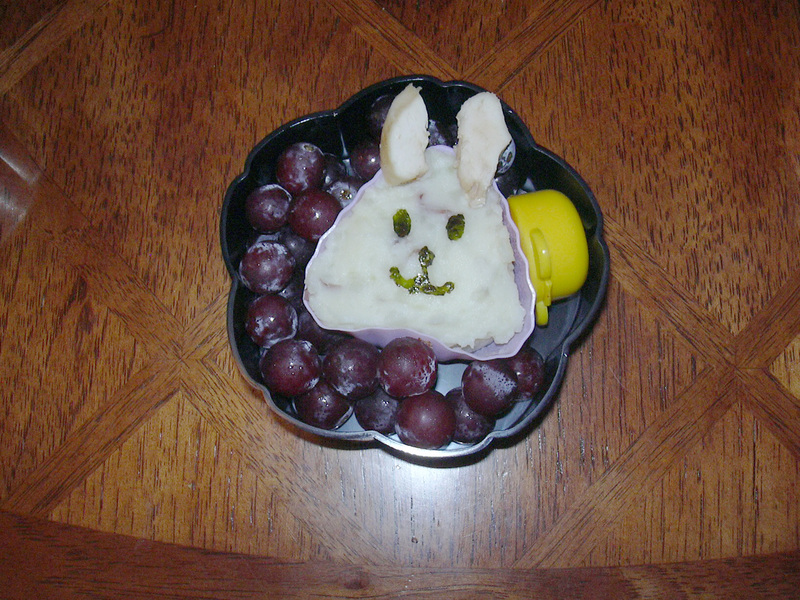 🙂 The bunny is a silcone muffin cup of mashed potatoes with a nori face and chicken ears. 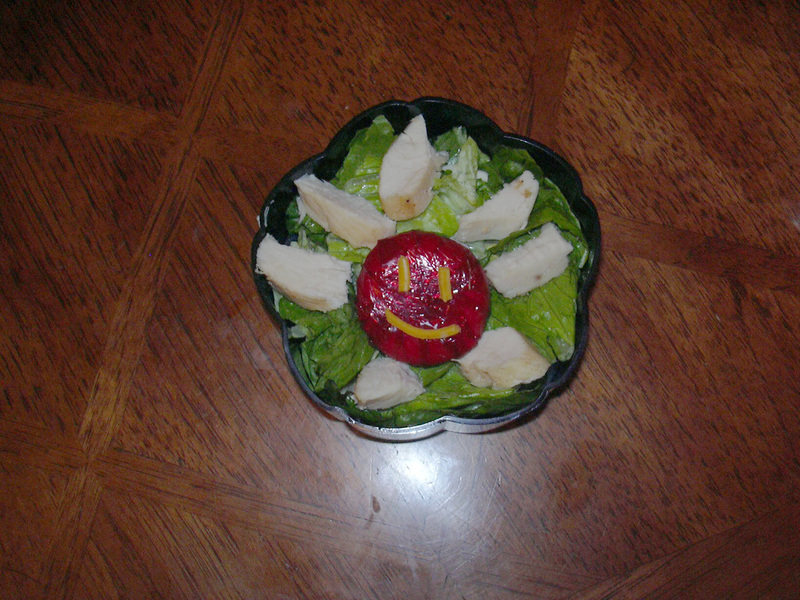 The flower is just some babybel cheese and chicken on top of the greens. Grapes to fill in the gap and a little dressing on the side and I’m good to go! Made from leftovers this bento only took about 10 minutes and was very delicious. Who knew nori and mashed potatoes tasted so good together? 2. 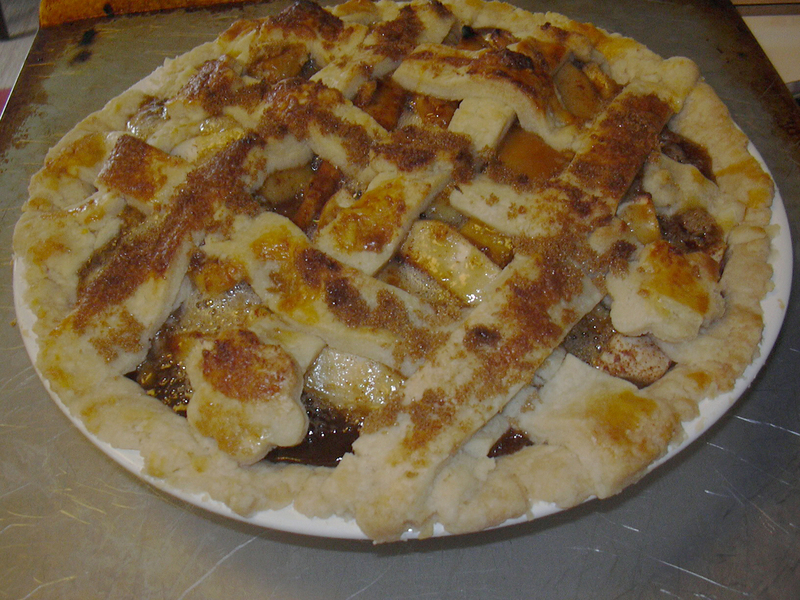 Toss sliced apples with the cinnamon flour mix until coated and place them in the pie crust. 3. Melt the butter in a sauce pan over low heat, then whisk in the flour until there is no more lumps. Whisk in the brown sugar, white sugar, and water. 6. Brush top crust with egg and sprinkle with brown sugar. Bake for 20 minutes then reduce the oven temp to 350 and cover with foil to bake for an additional 40 minutes. Mmmm I get to indulge in some Tilapia today! My son is allergic, so the only time I can eat it is if I cook it for my lunch after he goes to bed. So it’s a rare occasion that I still have energy to cook after putting the kids down for the night. 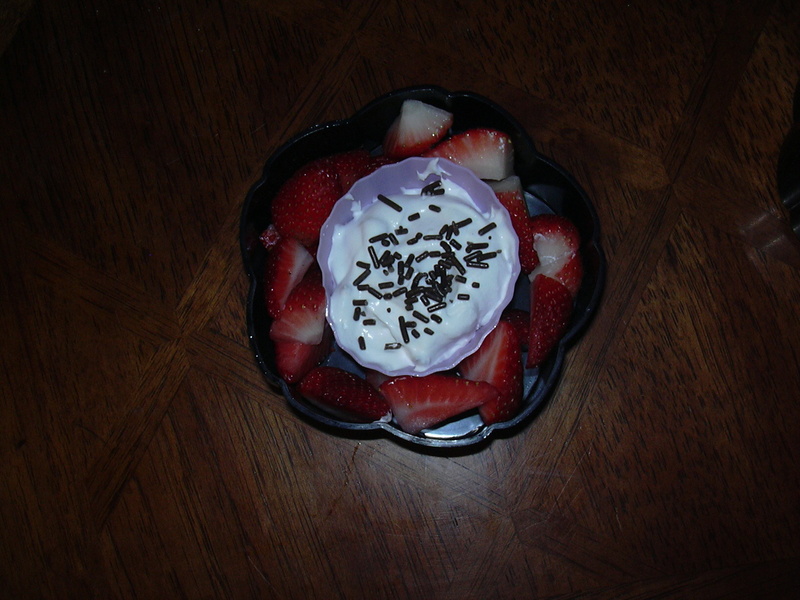 🙂 I had strawberries again today because I need to use them before they go bad, and the chocolate sprinkles actually go really well with them. I need to spice up my veggie variety though, carrots are getting a little tiresome. I’m thinking of getting some eggplant and grilling it or something, I’ve never had it but they say it tastes like a potato when you grill it so it can’t be that bad….more on that later I suppose! Sorry for the dark photos, my 1995 Nikon camera has never been my best friend, but I am hoping to get a new one soon! Anyway, Happy Friday to all! Yesterday was St Patricks Day, but since I had a company lunch I didn’t need a Bento, but you know I can’t do nothing! 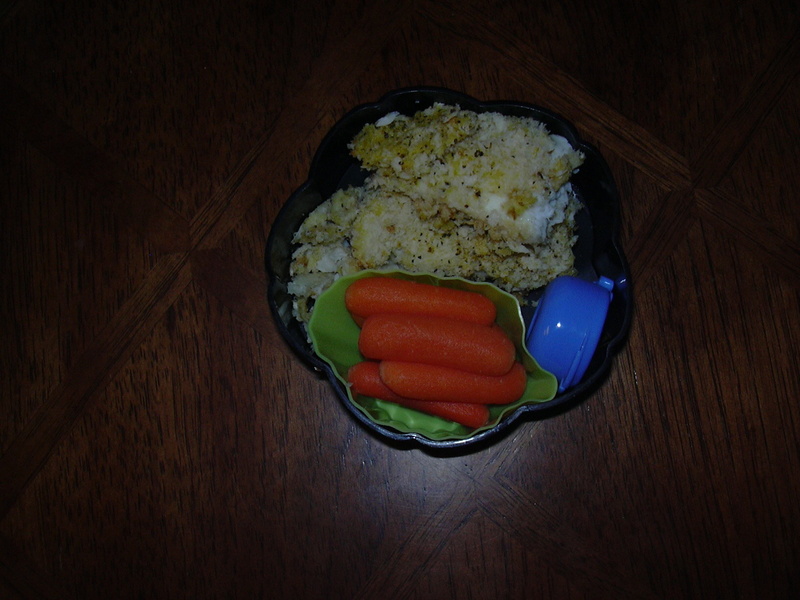 So I made a breakfast bento real quick. 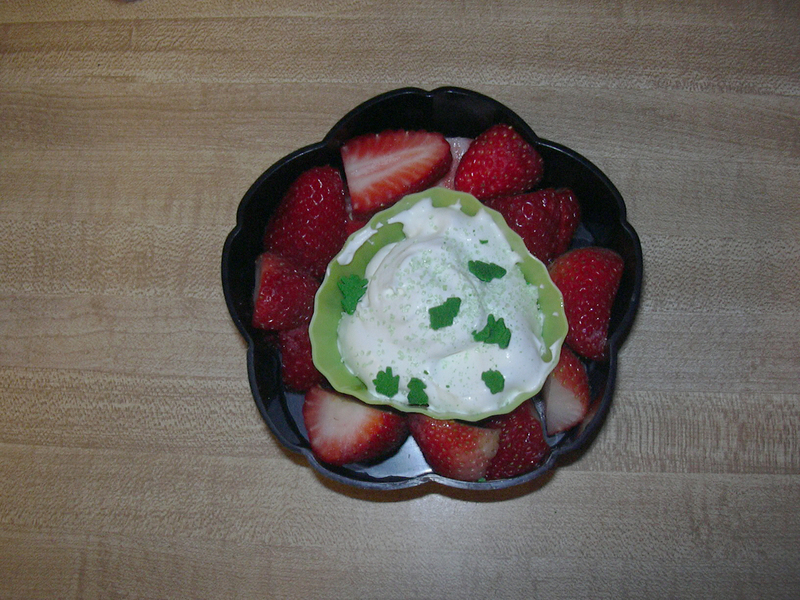 Just some strawberries with green sprinkled whipped cream, but the way the kids hovered over it you would have thought it was gold lol. My boy gets props for all the sprinkle work too. 🙂 I plan on correcting my St Paddy’s Day lack of baking this weekend too!